Listen here or use the Flash Player here for all episodes. 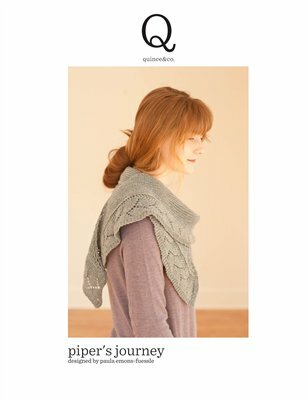 Thank you to Quince & Co for sponsoring this episode of Knitting Pipeline. From June 1 through June 15 you may enjoy 10% off your orders of $20 or more from Quince & Co. Use the promo code KP62011 at checkout! Leave a comment below to enter a drawing for Kate Shawl patterns donated by Esther Budd. Socksticks likes the iBirdPro app also. She recommended Julie Zickefoose's Blog which I found exceptionally interesting. Great for dog lovers as some of the posts are written in the voice of her Boston Terrier. I was laughing out loud. Her web site is here. She is married to Bill Thompson III, editor of Bird Digest who also has a podcast on iTunes. Dawna sent me an article from The Seattle Times. Naturalists Fear Overuse of Birdcall Apps. Basically, if you have a bird app do use responsibly. Birds can get confused. The Blue Jay has a bad reputation, which is mostly undeserved. Blue Jays only occasionally eat the eggs of other birds but mostly they are seed and nut eaters. Their favorite food is acorns, which they will hold between their feet to crack with their beaks. They also dine on caterpillars, grubs, and other insects. They are the Sentinels at the Feeder with their warning calls to other birds and wildlife of impending danger. Shortly after the wedding, Catherine, Duchess of Cambridge, ran out to the market to stock the royal pantry. She was seen wearing a green, triangular shawl, with a ruffle on all sides. Minnie Rose Ruffle Shawl on Amazon. Currently sold out. But no matter, you can knit your own! Kate's Shawl and All Group on Ravelry. Esther Budd's blog is here. On the Ravelry Group there is a thread with patterns for Kate's Shawl and others that are similar. There is a Crochet/Knit KAL with PRIZES! Milk Run Shawl by Cat Wong, Free pattern. Worsted weight. CopyKat Shawl by Rose Beck. Sport weight. 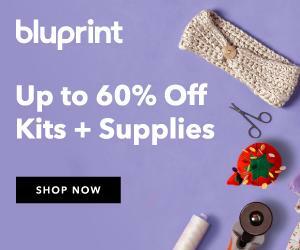 Ruffles and Pleats are yarn hogs so make sure you have plenty of yardage to complete the project. If you have a generous ruffle or pleat it can take up half of your yardage. Design your own version of Kate's Shawl by using a basic formular for a triangular shawl and adding a ruffle or pleat. Check out your stitch dictionaries. I found several ruffles and pleats in A Second Treasury of Knitting Patterns by Barbara Walker. I finished the Estelle Cardigan by Melissa LaBarre. My project notes are here. It was so fun to be knitting this along with other Pipeliners in the KAL/Knit Along. If you are just starting your Estelle, rest assured that I will be following the thread and knitting with you in spirit. My next Quince project (I think) is the Kilkenny Cowl in Chickadee in the colorway Clay. Yummy. I lowered the ribbing a little...I hope not too much! My currents WIPS are LaLa's Simple Shawl, and two And So Are You by Rose Beck. The shawl And So Are You has a lovely pleated border. Why not try this for your Kate's Shawl? The Memorial Day Parade in our town was enhanced with over 500 flags. Here are a few of them flying on the town square. Main St U. S. A.
Aff the Cuff www. affthecuff.org.uk. Subscri be to them on iTunes! Great podcast, Paula. Thanks so much for all the lovely comments about our Kate's Shawl and All group. I am going to publish my pattern today - photos are now up for it. Loved the insight into birding on your podcast. My husband and I live in the country and over the years have seen so many unusual birds. I started photoing and logging information about them. So, I guess you could say I'm an amateur birder as well. Your podcasts always inspire me!! You do such incredible research for each episode.. Enjoy your vacation. Thanks for yet another great podcast, Paula. I must be the only one one the planet that hadn't yet heard the buzz on Kate's shawl. Thanks for the explanation and links so I could see. Have a great vacation! Have a great vacation Paula! I really enjoyed your description of the Memorial Day festivities. It makes me miss living in Coronado, CA where there were great town parades. Loved hearing about all the patterns in this one. Your Estelle turned out beautifully. I could tell you got the hang of the new microphone as the podcast went on. I think it'll be just fine. Have fun in your competitions and at the games!!! Great podcast, Paula! I really enjoyed the segment on blue jays, as I like them and the other "common" birds too. (Maybe not starlings, haha.) The feature about the Duchess of Cambridge's shawl resulted in even more growth in my Ravelry queue. Have fun on your vacation! This was an especially enjoyable podcast because I was sitting at my computer to listen and could check out all the URL's from your show notes. I'm usually knitting and listening on my iPhone. I certainly see a Kate shawl in my future, but I have to finish some other projects first. I'm diddyb on Ravelry and my current project is the KAL of the Estelle. Still have a long way to go on it, but it's very enjoyable. I've never done a KAL before. It's fine to be a little slow and be inspired by all the finished projects. I spend a lot of time baby sitting my 13 month old granddaughter, so knitting is on hold then. Love the podcast. They are always well researched and thought out. Love all the shawls, I can't choose which one I like the best, so many options!! I really enjoyed hearing you discuss Kate's shawl! I've been wanting to make one (or more) like hers and you've convinced me to cast on. Now I need to decide on a yarn. Oh wow! After hearing your description of Kate's shawl, I'm all of a sudden itching to make something, anything, with ruffles. A shawl is certainly likely, or maybe I'll add it to a skirt or bib. Thanks Paula for firing up my creative juices! I live in a large city, so I loved hearing about your small-town parade. ;) I think it is so wonderful that knitting is getting such wonderful media coverage. What a lovely Estelle. And your twirling picture certainly made me smile! I also frogged back aways on my Estelle and changed to the next size up after knitting down to the armhole, and discovering that things felt too tight. Only the collar to go now, and I am happy with the fit. Next to cast on, the And So Are You shawlette by Rose Beck. Then who knows? Maybe a Kate shawl? Knitted shawls are going to be the latest fad now thanks to Kate. I checked out your links for the kate shawls and can't wait to knit a few! Love the podcast. Hi Paula, Your Estelle is beautiful! Thanks for podcasting. Another wonderful and informative episode! I loved the description of the Kate's Shawl group and I promptly joined! I adore ruffles and I admire Kate's style and grace. Now, to decide which shawl to knit! Would love to win one of the patterns. Dear Paula, I enjoy every single episode of your podcast. Even though our nature is so different here in Germany, it is such a great enrichment to listen to your musings about bird- and wildlife! I just subscribed to the Bird watch podcast! Thanks you also for all the wonderful knitting patterns you introduce...I am so excited by the Rose Beck pattern and have cued them already! I'm making Wee Sandy's Kate Shawl. I have been watching the test knitters on this one since it seemed that the yardage required seemed to vary a lot --- in comes Ravelry, and I'm now revelry friends with one of the test knitters. I'm going to assume this shawl is going to take 2300 yards, on size 2 needles. THAT is a lot of knitting --- but the herringbone pattern is really lovely in that shawl. I'm waiting for Kim at Woolen Rabbit to dye my yarn and it will be on my needles (and probably will be on them for a long long time). Your Estelle is lovely btw. I have the neck border left to go and I, too, shall be done!!! I have the same negative prejudice against Blue Jays. But the first time I saw a Blue Jay out west, I was enamored by their beauty, but surprised to find they have the same negative reputation as our midwest Blue Jays. I guess they are technically called Stellar's Jay, although everyone in that region called them Blue Jays. I was surprised to find out there is more than one type of Blue Jay in the USA. Love these shawls given front row attention by Kate! I enjoyed the music at the end. I was so excited when I saw the picture of Kate Middleton wearing a shawl and I knew the Ravelry community would respond with lots of patterns. Thanks for your podcasts - I really enjoy and look forward to them. I have The Young Birder's Guide by Bill Thompson III, and now, we have subscribed to his podcast! That was really interesting about Kate's shawl! Thanks for making such a fun podcast! Oh what a fun episode!! Thanks for all the time and energy you put into putting out wonderful episodes each week!! Safe travels! Your podcast has inspired me to knit shawl after shawl! Thanks for doing such a wonderful job! Thanks for a great podcast, I get lots of inspiraton and tips from you. As a norwegian I specially like all your references to Norway and Denmark, and your pronunciation of all the scandinavian languages is so charming (and really good!). I would love to knit a "Kate shawl", what could be better than winning a pattern? Do you think Kate may know about Ravelry? That would be fun. The shawl is really nice and I would love to make it. Thank you for the podcast and keeping us all up-to-date on the buzz. Happy Vacation! Thanks for your podcast on Kate's shawl. What a treat! I want to make this -- and now must decide WHICH pattern to use. I'm leaning towards Sunday Knits pattern. I seem to have found your podcast a day too late!! Oooh, and I just downloaded two other shawl "possibilities"... I'll wait and maybe I'll win Kate! Also, thanks for the info about the bluejays. Very interesting! Thanks for the great podcast! I am a new listener. This is my first episode and I am hooked! I would love a chance to win a pattern. I think Kate's shopping shawl by Wee Sandy would be one I would like to try. Thanks for the giveaway! I feel as if I've discovered a treasure! You have so much really good info here. Thanks for all the delicious links! I shall now do my Pick Me! dance and wave my arms wildly. If...I mean WHEN... I win, I'll work on the Estelle Happy Dance. Lovely, lovely, lovely! Thanks so much for another great podcast! I was thrilled to hear you mention the Kate shawl. I enjoyed watching the royal wedding and am glad to see what an impact Kate is having on the fashion world and also the knit/crochet world! Thanks again for another great podcast and for entering me into the drawing. Take care! Oops---forgot to leave my name---KipperKnitter!! Your podcasts are so relaxing. All the shawls you listed are lovely! I think the blue jay has a bad rap too. I like their noisiness and beautiful blue color. You're right, like a military uniform. Have a good vacation. Paula, Hope your vacation was wonderful and enjoyed by all. My 84 yr. old mother has been watching birds this year looking out her window. She is excited that the baby finch should be hatched anytime. I love shawl's too and hope that the mainstream doesn't do with shawls like they did with the "Martha Stewart" poncho. Such a great episode! Thanks for sharing the information about all of the "Kate" shawls. I hope your vacation was relaxing and fun. I listen to your podcast frequently. I value your advice on knitting and your nature comments. Your voice is so soothing, and the music is as well. Thank you for clarifying what a spring peeper is. Hope you had a great vacation!! I listen to the podcast on my hour commute when I really want to be knitting instead of driving! I love the patterns and your podcast! Have a great vacation! I listen to your podcast while I walk. As you talked about bluejays I was watching a HUGE turtle basking in the sun on the side of the recreation trail!! I don't know if it's too late to enter, but just in case... Loved the episode. I saw Kate's shawl in the news and appreciated your info. Also thanks for defending the Blue Jay. They are such beautiful birds! Hi Paula! Love the details about the Kate shawl.